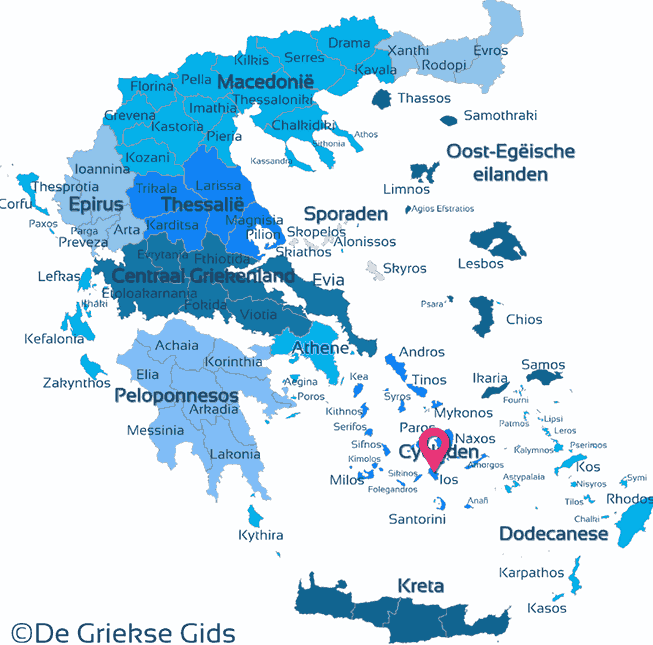 Ios (Eos) is a Greek island that covers an area of 108 square kilometers (42 mi2). 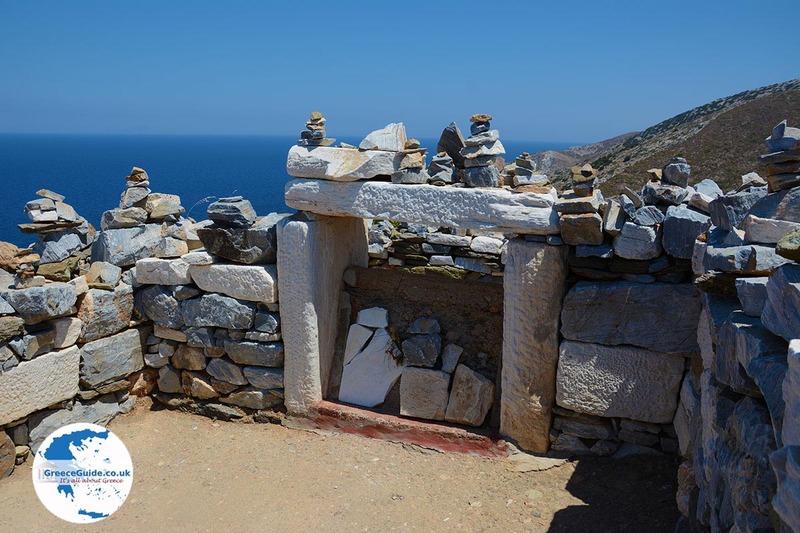 It is located in the southern part of the Cyclades Islands, between Santorini and Naxos. 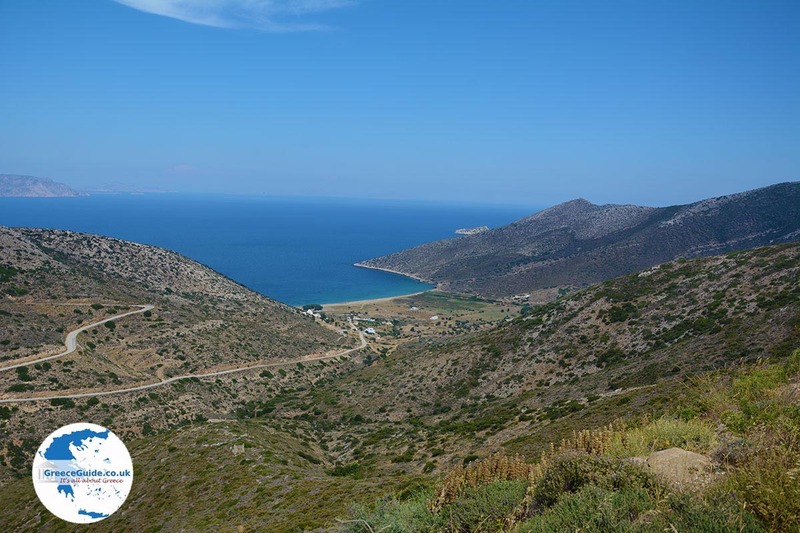 Ios, which the Greeks call Nios, is a barren, mountainous island with many beautiful beaches and a number of large bays. 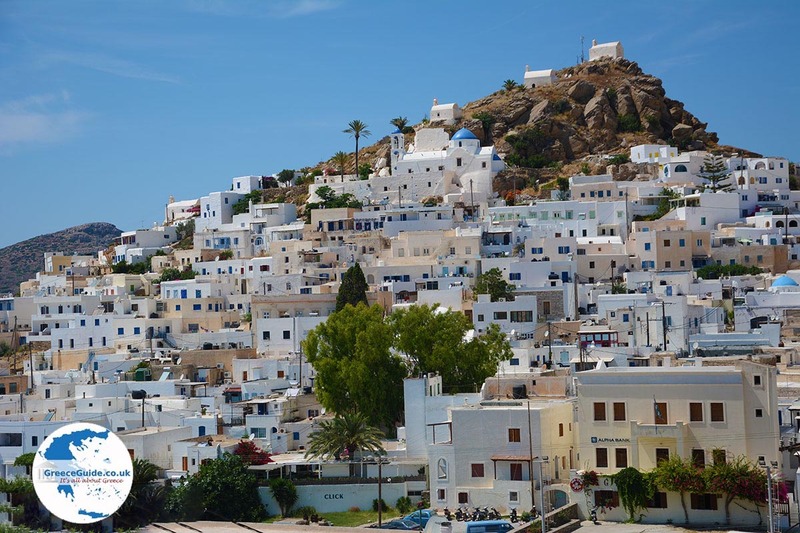 The island has fewer than 2,000 residents and three quarters of them live in the capital, Chora (Ios town). Ios took its name from the flower named “ia,” commonly found on the island. Although most inhabitants of the island work in the tourism sector, there are also many farmers. Various cheeses and high quality honey are produced here. The island is especially popular among younger tourists and is known as a party island. In the 80's it was the place to be for young people from all around the world. It’s still very popular, especially from June to September. Is the island only suitable for young people? No, the island is for all ages. Most beaches are quiet. 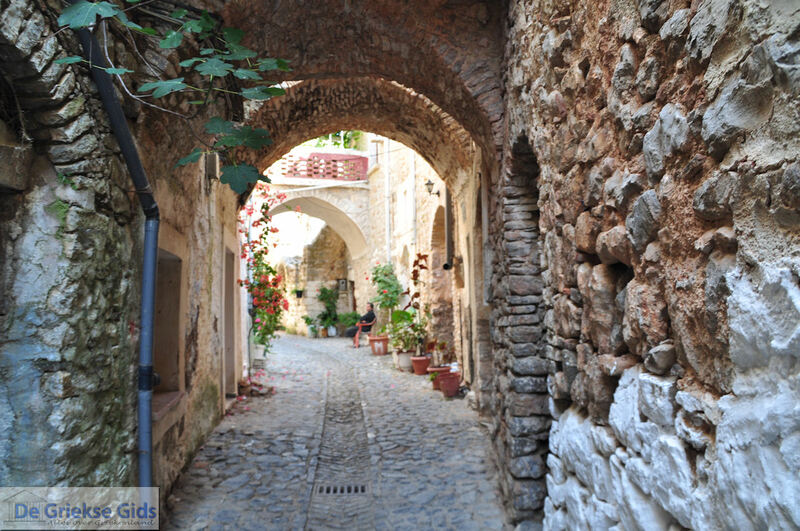 There are kilometers of hiking trails, and during the day, Chora delightfully relaxed. The distances on the island are not too big and the road network is good. All the important places are accessible by paved roads. By car you can get from Chora to Manganari (in the south) in about 35 minutes and to Plakotos (north) in about 25 minutes. 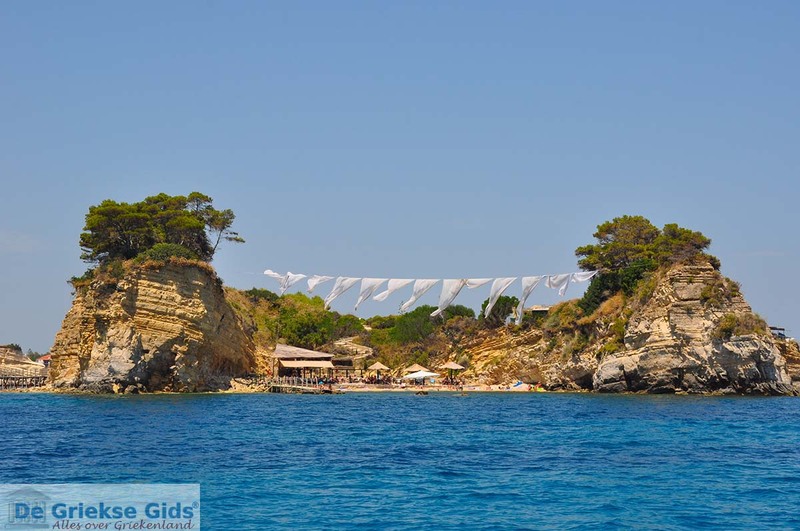 On the way you can stop at some nice, not too crowded, beaches and hamlets like Psathi and Agia Theodoti. 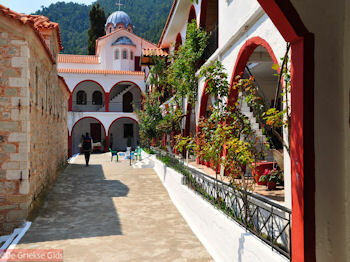 Chora or Ios city is the capital of the island. 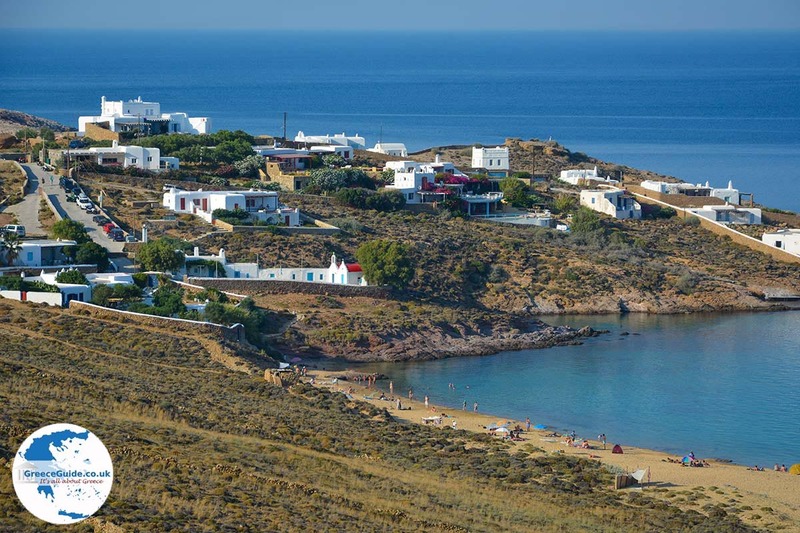 This town is located about two kilometers inland from the port of Ios, Gialos. It is amphitheatrically built on the slopes of a low hill. 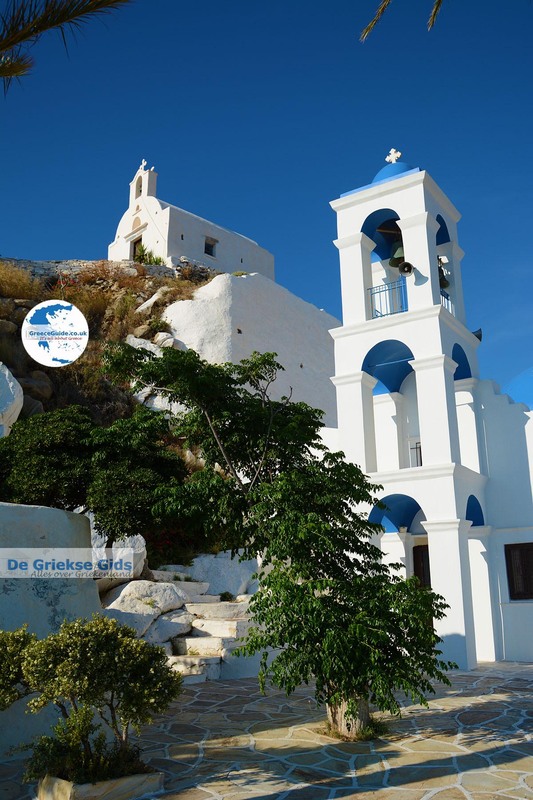 At the top of the hill behind Chora stands the church of Aghios Nikolaos and a medieval castle dating from the year 1397. 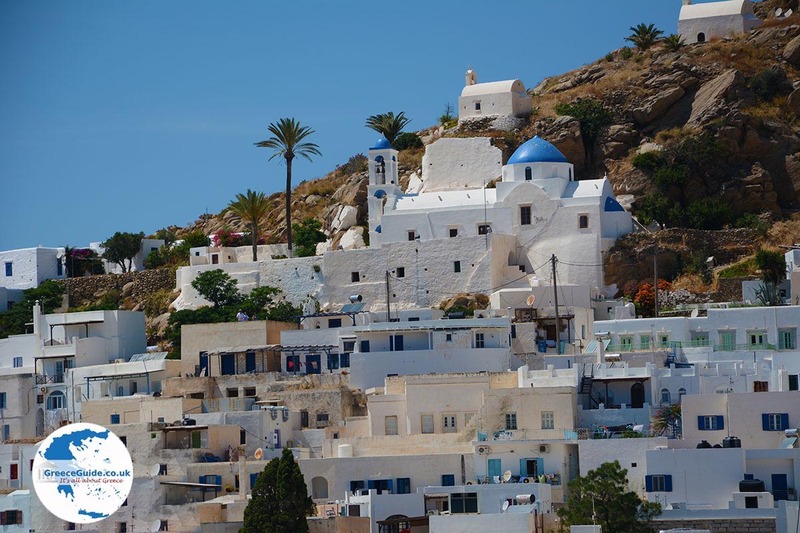 Chora is a typical Cycladic town with cobbled, narrow streets, traditional white houses, small squares, churches and windmills. There are shops, cafés and small restaurants. Mylopotas. 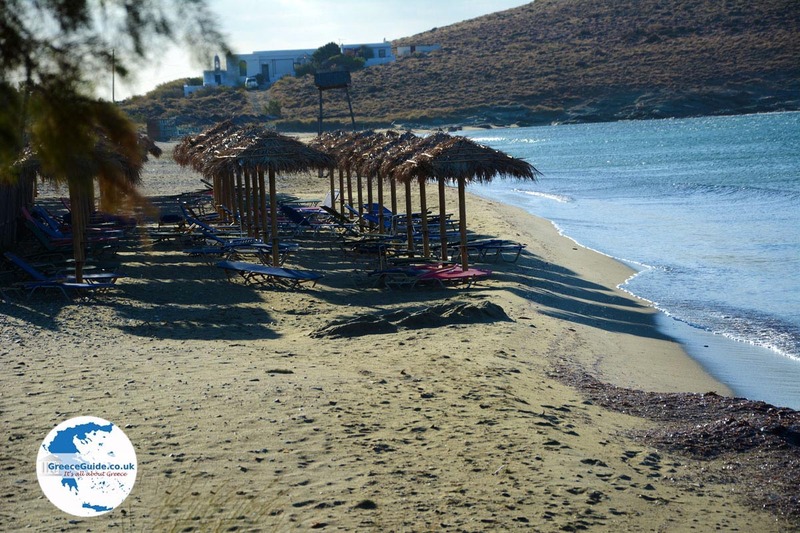 At about three kilometers (just under 2 mi) from Chora near the village of Mylopotas is one of the most beautiful beaches on the island. 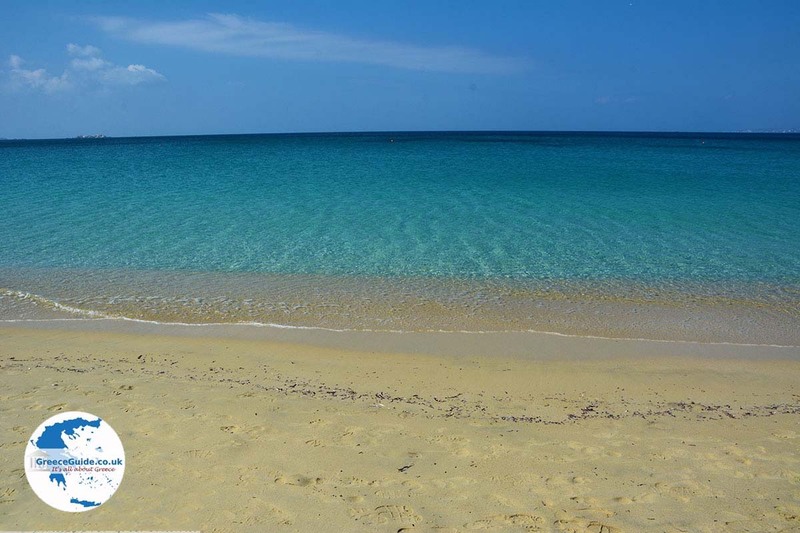 It is a lovely sandy beach where all kinds of water sports are possible. Mylopotas is very popular resort, especially among young people. There are many cafeterias and restaurants in Mylopotas. Many hotels, bungalows and apartments are available to rent. There is a lively campground (Farout) where all sorts of activities for young people are held. Manganari is a village in the south of the island, 20 kilometers (12 mi) from Ios Town. 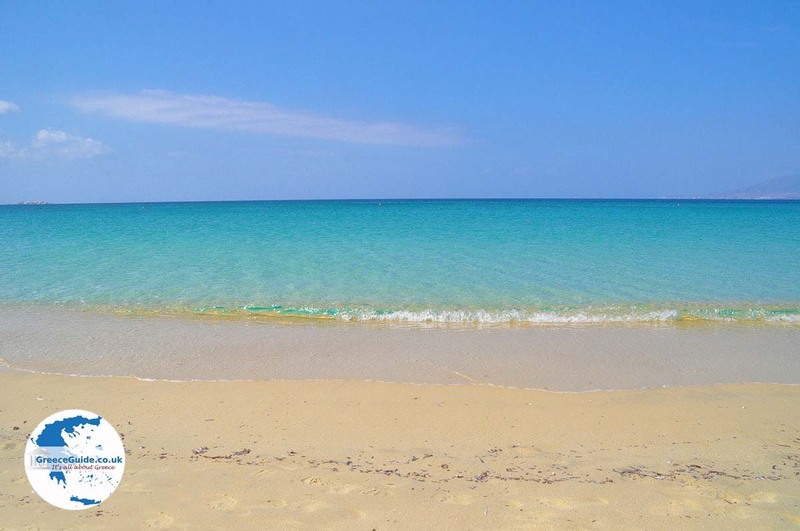 In Manganari (Magganari or Maganari) are several beautiful beaches and four small harbors. Manganari became famous in 1988 when scenes of the movie "Big Blue / Le Grand Bleu" were filmed here. 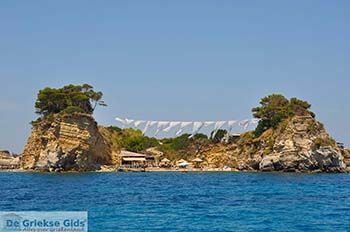 Agia Theodoti is located in the east of the island in the bay with the same name, about ten kilometers (6 mi) from the capital. Years ago there were iron mines here. 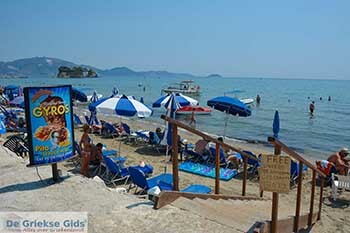 The sandy beach of Agia Theodoti is very popular with nudists. 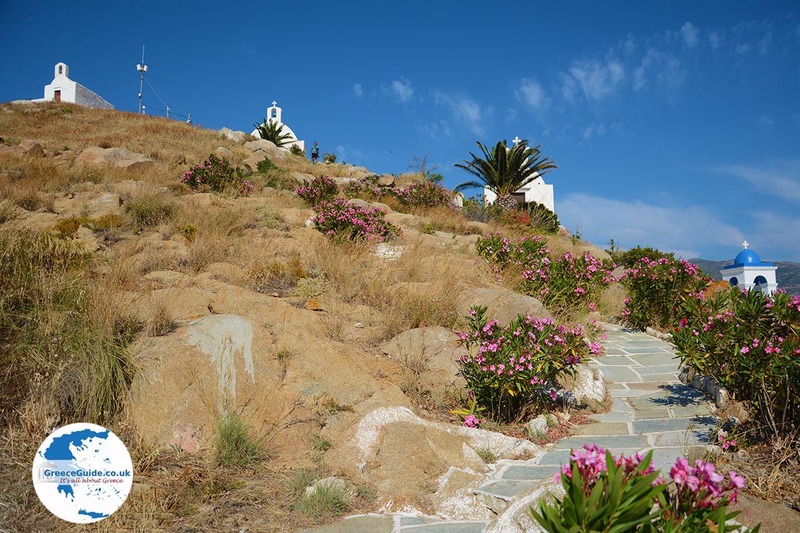 The oldest church on the island, Agia Theodoti, is located in this small hamlet. 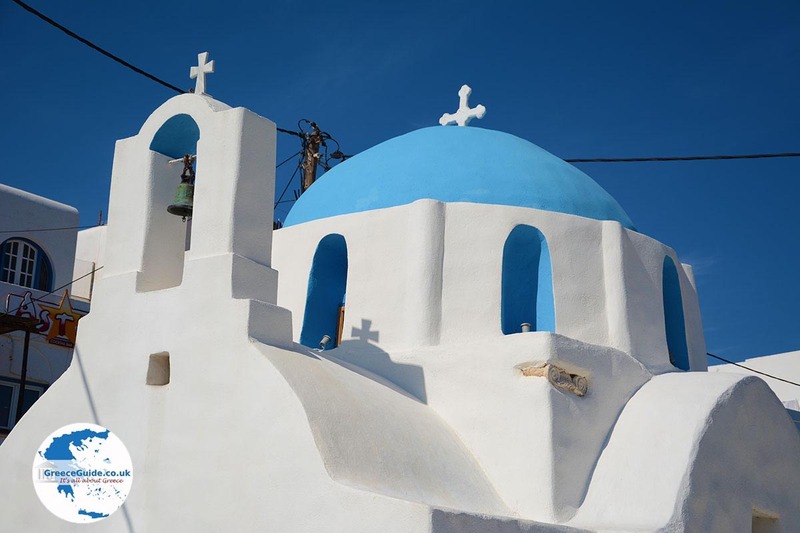 The church was built in the 16th century, on top of a temple of Apollo, dating from antiquity. Gialos (Ormos, Ios port): When you come to Ios, you arrive at the port of Gialos. The port is a safe harbor, located in a sheltered bay. The first thing you see when you arrive is the white church of Agia Irini on the right side of the port. In the bay there is also a nice beach. There are rooms and apartments for rent and many small shops, mini markets, car and motorcycle rentals, cafés and restaurants. 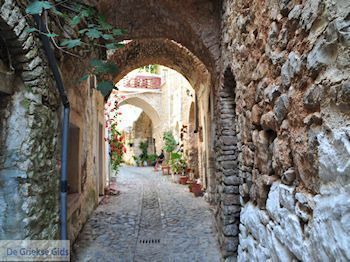 The capital, Chora, is only two kilometers (a little over a mile) from Gialos. There is no airport on Ios. To get on Ios you can fly to Santorini. From Santorini several boats sail every day to Gialos, the port of Ios. The fast boat (catamaran) covers the distance in 30 minutes. 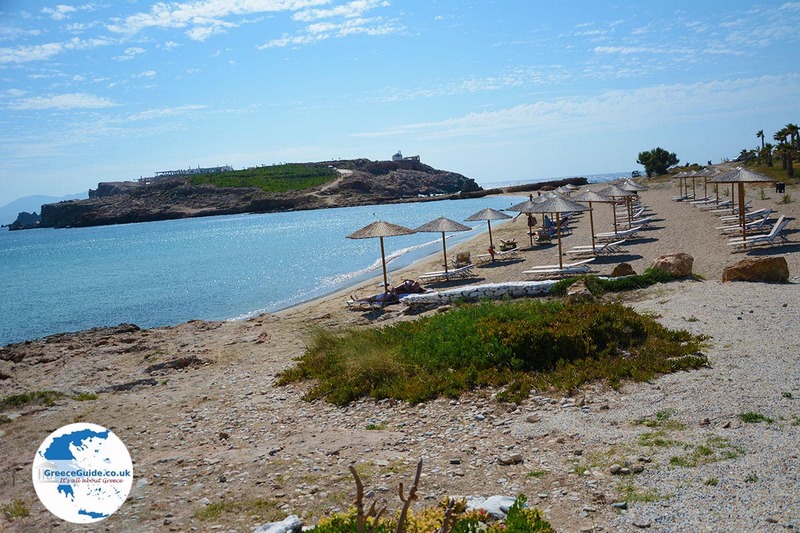 Another option is fly to Athens, Mykonos or Crete (Heraklion) and take the boat from there. 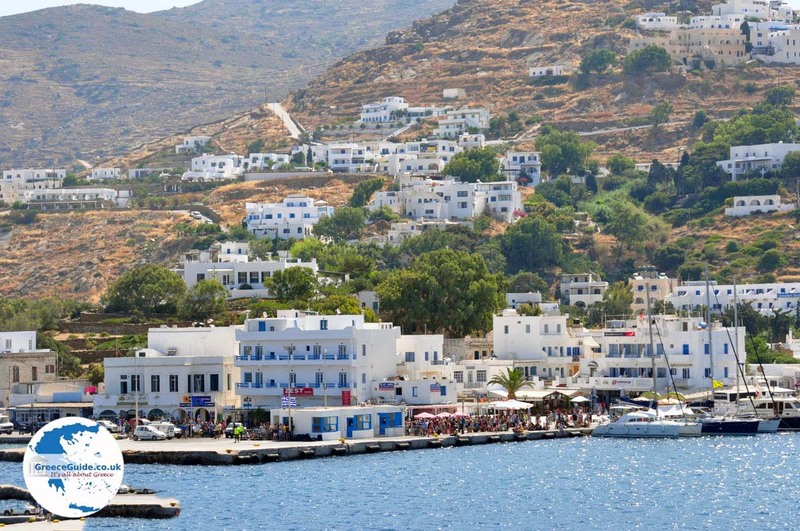 Ios is connected by boat with the ports of Heraklion (Crete), Piraeus, Anafi, Ios, Kimolos, Milos, Naxos, Paros, Santorini, Serifos, Sifnos, Sikinos, Syros and Thirasia. Ios: Where on the map is Ios located?